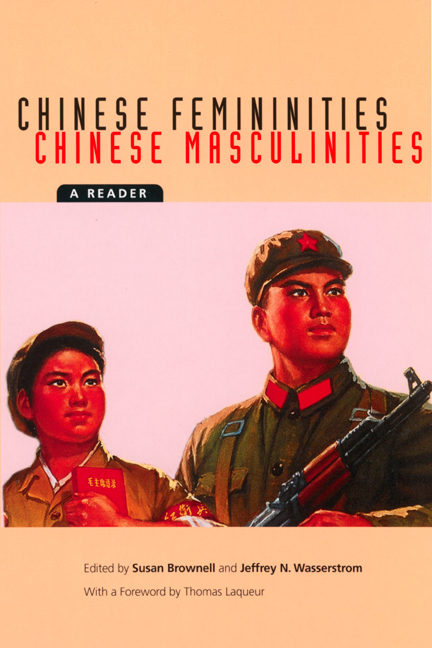 Exploring the central role of gender as an organizing principle of Chinese social life, Chinese Femininities/ Chinese Masculinities is an innovative reader that will spark new debate in a wide range of disciplines. Susan Brownell is Associate Professor of Anthropology at the University of Missouri, St. Louis. She is the author of Training the Body for China: Sports in the Moral Order of the People's Republic (1995). Jeffrey N. Wasserstrom is Associate Professor of History at Indiana University. He is the author of Student Protests in Twentieth-Century China: The View from Shanghai (1991) and coeditor of Popular Protest and Political Culture in China (1994). 8. Approximations of Chinese Bandits: Perverse Rebels, Romantic Heroes, or Frustrated Bachelors?